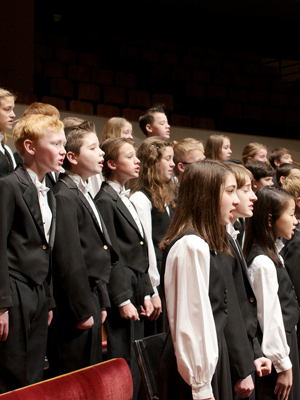 Colorado Children’s Chorale appeared on Show 266, recorded in January 2013. Colorado Children’s Chorale has brought its artistry and charm to audiences throughout the world for more than three decades. With a diverse repertoire ranging from fully staged opera and musical theater to standard choral compositions in classical, folk, and popular traditions, the Chorale performs with an innovative stage presentation and a unique theatrical spirit. In recognition of its artistic excellence, the Chorale was awarded the Governor’s Award for Excellence in the Arts, the Mayor’s Award for Excellence in the Arts and the prestigious El Pomar Award for Excellence in Arts and Humanities.